Lodro co-founded NYC's premier meditation studio in November 2015, which expanded into three locations over the years: Greenwich Village, UES and Brooklyn. There is also a video channel, corporate meditation program and non-profit arm that brings meditation into underserved communities. Offering 30, 45, and 60 minute classes every day of the week, MNDFL features expert teachers from a variety of traditions offering simple techniques in an accessible manner. When classes are not in session, the space is open for self-guided practice. MNDFL has been featured in T Magazine, New York Times, Vogue, The Atlantic, The Wall Street Journal, Racked, and NYMag. Before MNDFL, Lodro founded the Institute for Compassionate Leadership. 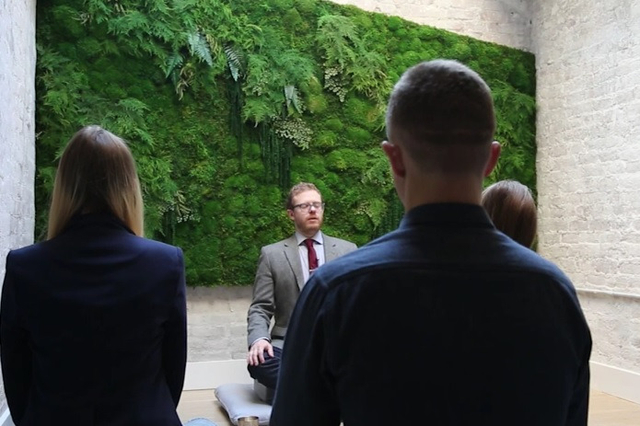 It started as a six month in-person training program that combines meditation, community organizing skills, and practical leadership training for the modern workplace. In order to make the training as accessible as possible, all of the resources have been loaded online and made available for free.